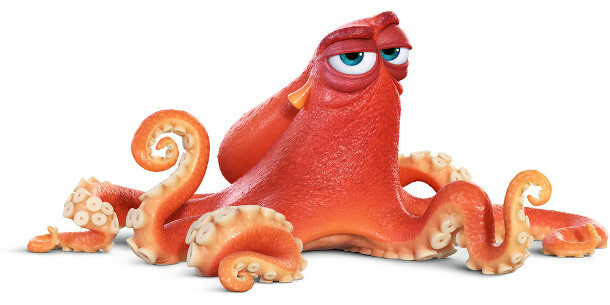 Hank from Finding Dory: one of the characters rendered in production by Pixar using its versatile multipurpose PxrSurface shader – now implemented in RenderMan 21, released commercially this week. Pixar has released RenderMan 21, the latest update to its heavyweight production renderer, incorporating the same shaders and lights used in production at Pixar, and adding a new library of PBR materials. The update also adds GPU support for the software’s Denoise system; and removes several legacy technologies – including the venerable old Reyes rendering system. The update was originally previewed in Pixar’s community newsletter earlier this year, which described it as a “game-changer and the biggest RenderMan release in years”. While the reasoning wasn’t fully apparent at the time – the features announced early, like GPU support for Denoise, seemed more like evolution than revolution – it has become clearer with the final release. First of all, the update makes the shaders used in production at Pixar itself available out of the box. The key addition is PxrSurface, a versatile new multi-purpose surface shader capable of reproducing anything from glass to skin. It seems to replace several older shaders like PxrDisney and PxrGlass: the online documentation now lists only PxrSurface and existing hair and volumetric shaders PxrMarschner and PxrVolume. RenderMan 21 also ships with the Pixar Surface Collection (image below): a library of presets for PxrSurface, designed to replicate common materials inluding “plastics, metals, ceramics, rocks, liquids and more”. The update also extends the Patterns system, used to vary parameters across the surface of a material. The renderer gets a new PxrDirt pattern for reproducing dirt and weathering effects; along with new options for baking patterns as 2D maps, Ptex images or point clouds for reuse on other assets. In addition, RenderMan 21 includes an extended set of light types, plus a set of light filters to modify their behaviour, developed for use in Pixar productions. The entire lighting system has also been “completely rewritten” to improve performance, with the online documentation promising that “scenes with over one million lights render more quickly and easily”. According to Pixar, the changes make the software “increasingly more than a renderer: RenderMan is a complete shading and lighting ecosystem”. The other major change is under the hood: in RenderMan 21, the venerable Reyes rendering system, used since the software’s original release, has been deprecated in favour of the new RIS architecture. As a consequence of not having to support two rendering methods, the software’s UI has been “greatly simplified”, with the intention of streamlining workflow. In addition, the old RenderMan Shading Language (RSL) has been deprecated in favour of the open standard Open Shading Language (OSL). Other key changes include GPU support in Denoise, the noise-reduction function introduced in RenderMan 20, and since widely imitated in other renderers. Pixar hasn’t put a figure on the performance increase resulting from use of the GPU, but comments that it reduces the time required to denoise a feature film frame to “seconds”. The GPU implementation is based on CUDA 7.0, so you’ll need an Nvidia graphics card; but there’s a fallback to CPU denoising if you’re using an AMD card. There is also a long list of smaller features and improvements, discussed in more detail in the update’s online release notes. RenderMan 21 is is available for 64-bit Windows 7 and above, Mac OS X 10.9 and above and Linux glibc 2.12 or higher and gcc 4.4.5 and higher. New licences cost $495; the upgrade is free to users on maintenance. Integration plugins are available for Maya 2015 and above, Katana 2.0 and above, Houdini 15.5 and – a recent development – Blender 2.77 and above. Compatibility with Cinema 4D R17 will follow “shortly”. 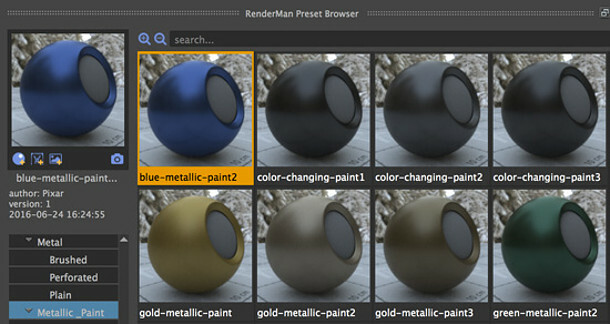 RenderMan is also available free for non-commercial use, although the free version is still currently RenderMan 20, and will be updated “at a later date”.